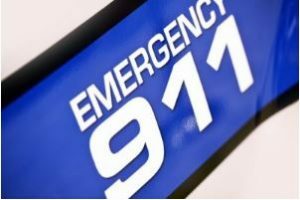 Wilmington, Del (July 15, 2017) – A child was taken to the hospital after being struck by a car at an intersection in Wilmington, a local news source reported. New Castle County Police, New Castle County Paramedics, and Mill Creek Fire Company were informed of a crash at around 12:05 p.m. Saturday, July 15. The collision had happened at the intersection of Holly Avenue and 3rd Avenue, just north of Delaware Park Race Track. When they arrived at the scene, they learned of a pedestrian collision that had involved a child. Preliminary investigations revealed that the child was playing outside when they were struck by a car traveling down a narrow street. The child was alert and awake when the responders arrived. He/she was treated at the scene by paramedics and then transported to AI DuPont with non-life-threatening injuries. An investigation aimed at establishing the cause of the crash was started. When you’re hurt, you need a lawyer that you can trust. When you work with Edelstein Martin & Nelson, you can focus on your recovery while we take care of working to get you the justice that you deserve. When the insurance company tries to make your case go away for a small amount, we’re here, and we’re ready to fight back. Each of our clients gets our full resources until we’ve gotten you fair compensation for your losses. At Edelstein Martin & Nelson, we have the skills and resources to advocate for you whether you’ve suffered an auto accident, wrongful death or other personal injury. If you or a loved one is hurt, call us for a free consultation at 888-208-8864.